Funerals are very important events for those of Pacific Islander decent and Pacific Islander funerals are performed with many traditional aspects, even for those who live far away from their traditional homeland. Although specific funeral practices vary through throughout the Pacific Islands, three primary theme are emphasized: family, religion (primarily Christian), and gifting. A traditional Pacific Islander funeral service can be a multi-day event full of family gatherings, feasting, and an extensive gift exchange. The tone of the funeral service, although sad, is generally one of acceptance of the situation of faithfulness to God. The first step to plan a traditional Pacific Islander funeral is to arrange for the embalming and internment of the deceased and to identify a date for the church service and burial. If family members will be flying in from afar it may be suitable to delay the funeral for a few weeks to accommodate their schedule. The funeral service may be a multi-day event which may begin or end at the church and the graveside. 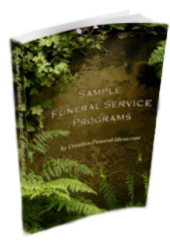 These are generally arranged with the assistance of a funeral director who will also assist with writing an Obituary, ordering flowers, and other necessities of the church service. Meanwhile, the family of the deceased begins preparation for the rest of the funeral service, the feast and gift exchange. Gift exchange is a prominent aspect of Pacific Islander funerals and may include gifts of food for the feast, cash (in an envelope), and occasionally traditional items such as hand-woven mats or title to land. Often, the amount of gifts exchanged correspond the wealth or status of an individual in the community. The church service is generally identical to a traditional Christian church funeral service with a viewing. Sometimes multiple viewings are arranged and generally take place the evening prior to the funeral service. 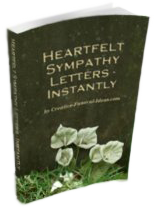 Generally a structured funeral program is arranged with singing, musical tributes, scripture or poetry reading, and remembrance talks about the deceased. Many of Pacific Island decent will dress in traditional clothing; some will adhere to western style of semi-formal dress code, while others will combine the two traditions. 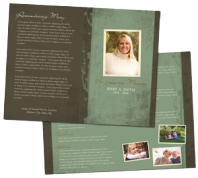 At the time of the viewing or the service, funeral attendees may wish to present the family with gifts. In modern time most gifts consist of cash presented in an envelope or an offer to cook something for the family of the deceased. The funeral service will then be moved to the graveside with the casket carried by pallbearers. A graveside service is generally performed including a dedication of the gravesite by a clergyman followed by internment. Family members may choose to place some of the first shovels of dirt into the gravesite. Generally following the funeral service, friends and family gather at the church or the family home for additional remembrance of the deceased, gift exchange, and feasting. The menu may be a combination of items prepared by the family and those who have offered to bring a food dish or the family may choose to have the event catered with a focus on traditional Pacific Islander fare. Oftentimes, a whole pig is roasted for several days in a traditional earthen oven and served alongside taro, yams, rice, and fruit. An annual remembrance of the deceased is also an important aspect of modern Pacific Islander funeral traditions. On a special day, such as the deceased birthday or a national holiday such as Memorial Day, the family of the deceased may choose to spend the day at the gravesite. The time is spent remembering the individual, cleaning the gravesite (if necessary), placing flowers at the grave, and preparing and eating a picnic lunch. 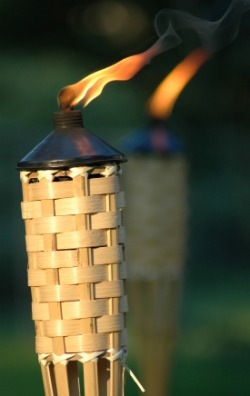 Storytelling, singing, and children playing at these annual remembrances events are very common.